My first stop in the Socialist Republic of Vietnam was its largest city, Ho Chi Minh City, more popularly, Saigon. I arrived from Singapore via JetStar, this time luggage intact. The former capital of South Vietnam, Saigon was quickly renamed in honor Vietnam's favorite Communist, Ho Chi Minh, following the communist victory in 1975. I'll talk more about Ho Chi Minh when I visit Ha Noi, the capital. Most people refer to the city as Ho Chi Minh, or HCM in writing. 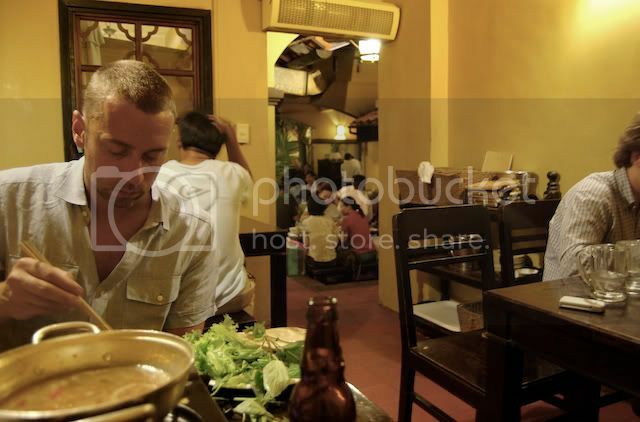 More fashionable venues such as restaurants, hotels and bars, as well as the nostalgic, still use Saigon. The names seemed to be interchangeable, but government officials and party members frown heavily upon its former name. 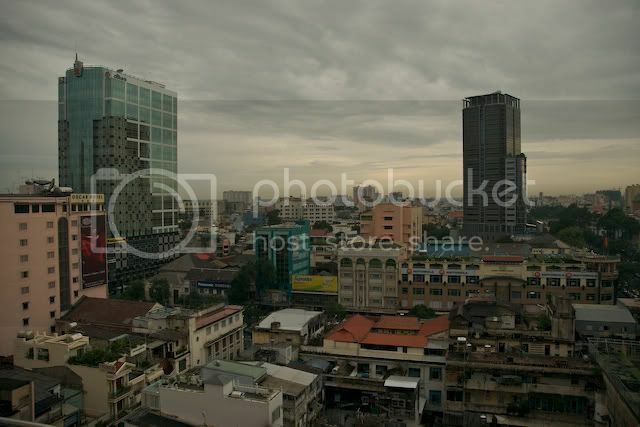 Saigon is a vast, sprawling urban center home to about 8 million people. The population has nearly tripled in the past 30 years, and the city has the look and feel of a town that grew up too fast. Its dirty, crowded and for the most part poorly organized. 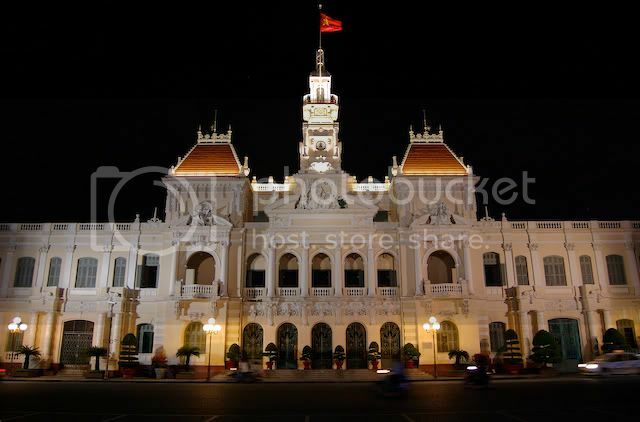 As the financial and trade center for modern Vietnam, Saigon was the capital of French Indochina and has a rich history. Many of the points of interest can be found in a relatively compact area, District 1, which includes many interesting artifacts of French colonialism as well as reunification of Vietnam following the "American War" during the 1950's, 60's and 70's. If you visit Saigon, stay in one of the newer hotels in District 1 and you'll be able to see the major points of interest, the better bars, restaurants and shopping all within walking distance of your hotel, likely centered around the city's historic French-designed Opera house. The French-designed city hall at night. Arriving in Saigon you'll immediately notice the overwhelming smog as your plane lands. The airport is crude and dirty, with throngs of people gathered outside of the arrival gates for no apparent reason. Once you get into a car you'll most certainly be appalled and alarmed at the traffic. 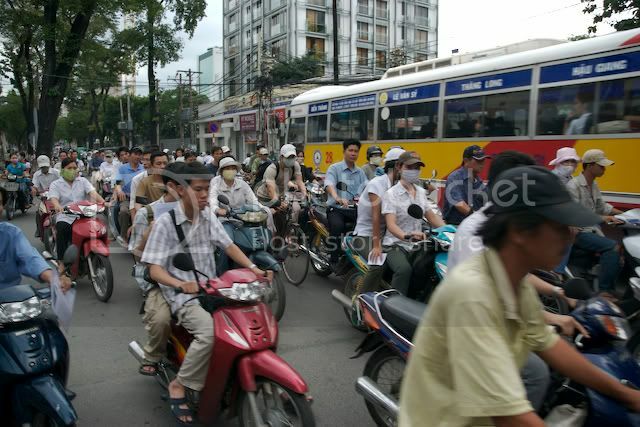 There are 8 million people in Saigon. 10 years ago there were 3,000,000 bicycles clogging the streets and around 500,000 motorbikes. Today, there are 3,000,000 motorbikes and about 300,000 bicycles. I say motorbike because in addition to the typical motorcycle, scooter and moped, you'll also see many improvised, homegrown varieties including bicycles powered by chainsaw engines, rickshaws attached to lawn mowers and every imaginable combination of conveyance and combustion engine. Owning a car in Vietnam is prohibitively expensive for most. Government policies and import taxes price the average car around $USD35,000, well beyond the means of most Vietnamese. Traffic moves in a strange fluid motion, described by locals as "organized chaos". I failed to see the "organized" part, but the chaos was obvious. I rode most of the way to the hotel with my eyes close as the near-collisions with cars, people, bikes, motorbikes, animals and structures was too much to watch. Every driveable surface is fair game, and the stated direction of traffic is really a suggestion for the driver's consideration. You'll see cars and buses, three-wide, coming toward you incoming traffic, each trying to pass the other. During this, motorbikes, often holding upwards of 3-6 people each, are zipping in and out of the vehicles often directly into the path of some other competition. Rental car agencies often see pale-faced tourists returning their vehicles in a matter of minutes. Its hard to describe, but witnessing it you can understand why in the first half of 2007, there have been over 6,000 vehicle collisions (meaning, some vehicle hit some other object) resulting in over 5,000 casualties. The roadway mortality rate is staggering. Traffic such as this is pretty much the norm throughout HCM, as well as other cities small and large. Its worse in Ha Noi, hard to believe. Given the traffic, the best advice for crossing the street is to just go. If you wait, you'll stand on a corner for hours - literally. Once you go, stay in motion. Don't make any sudden moves, stop or alter your course in an unpredictable manner. Strangely, the traffic will quickly adapt and respond, and the motorbikes will swarm around you like fish, but as long as you keep your trajectory, you'll be fine. After a week in Vietnam, I was strangely getting comfortable with this approach. Kids, don't try this at home. As Saigon is a large financial and industrial center, it is a focus for foreign investment and the local businesses have adapted accordingly. English is widely spoken, and most menus are in English or at least have fair and colorful pictures from which you can order food. Vietnam's signature dish is pho bo (pho is pronounced like "fun" without the "n"), a simple yet delicious beef noodle soup served with a variety of vegetables and herbs for seasoning the broth. The noodles and the beef are placed in a soup bowl uncooked. The boiling broth is added to the bowl which quickly browns the meat and brings the noodles to life. From there you can add herbs, chilis and vegetables to your taste. Pho is historically street food but almost every restaurant serves a version for breakfast, lunch or dinner. There are a few specialty restaurants that pretty much just do pho (they do other things, but I never saw anyone order them). Pho 2000 is the most famous. Bill Clinton ate there during his visit in 2000. Another, and one I thought was better, is Pho 24. Its sort of the McPho of Vietnam, with locations all over Saigon and Ha Noi. A bowl of soup, a plate of spring rolls and a Heineken will run you about $2.00. I ate pho every day and didn't get tired of it. Currently there are no McDonald's in Vietnam, although they will open their first store in 2008. KFC has been in business for about 10 years and has more or less struggled despite its resounding success elsewhere in Asia. PizzaHut seems to do quite well. Another Vietnamese speciality is coffee. There are a few Starbucks-like chains in Vietnam, Highlands Coffee and Trung Nguyen. The former is very Starbucks like, but they're both quite good. Vietnamese coffee is very strong, and often served over ice (perfect in weather like this). Famous but untried by me is Weasel coffee. Essentially the coffee bean is fed to a weasel (for real) whose innards can't digest it but somehow flavors the bean during its efforts. Once the bean is passed, it is roasted and brewed to make coffee like other coffee beans. I presume it is cleaned at some point. Weasel Coffee is all over Vietnam, and seems to be mostly geared for tourists - sort of like the coffee version of eating the worm. I prefer first-hand coffee. 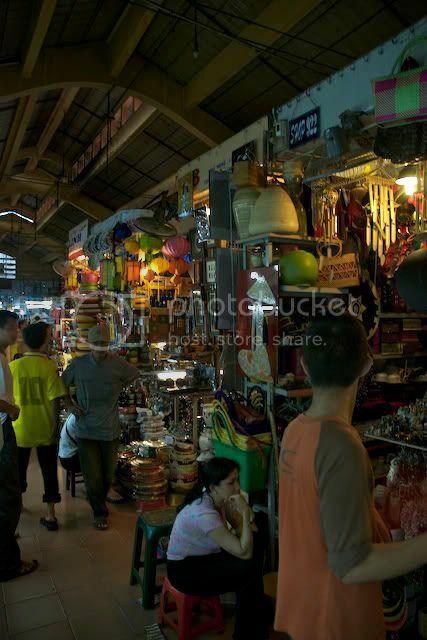 There are shops and markets around the city, all selling a variety of what I would consider mostly to be souvenirs. Counterfeit items like Louis Vuitton bags, Polo shirts and pirated DVD's are everywhere. Most of these items are pretty obvious fakes, nothing like the stuff I saw in Istanbul. The Philippines is reputed to have the best knockoffs. Counterfeiting has been a big bone of contention with Western governments (and thus the WTO) in recent years. I didn't see much of this stuff in Hong Kong, Taiwan or Thailand. It still exists, but its far more discreet. Either Vietnam didn't get the memo, or they read it and didn't care. Everywhere you turn there are people selling something - pure, unbridled capitalism. Vietnam in the past 10 years has come to the same realization as most other failed socialist regimes have: planned economies don't work. In the midst of a economic transformation, the citizens are well in advance of the government, eking out a living any way they can. The locals don't harass you to buy stuff, though they can be pushy in the markets. Its best to make your way past the door, those guys are the worst. In 1986, Vietnamese government began implementing a series of free-market reforms that are essentially a form of moderated capitalism. Since, the economy has been one of the fastest growing in Asia, last year growing at over 8%. Girl:	"You buy some gum yum yum?" The weather in Saigon follows two seasons: hot and hotter. Unfortunately, this was the hotter season. I succumbed to the heat and the multiple showers per day and finally got my haircut. 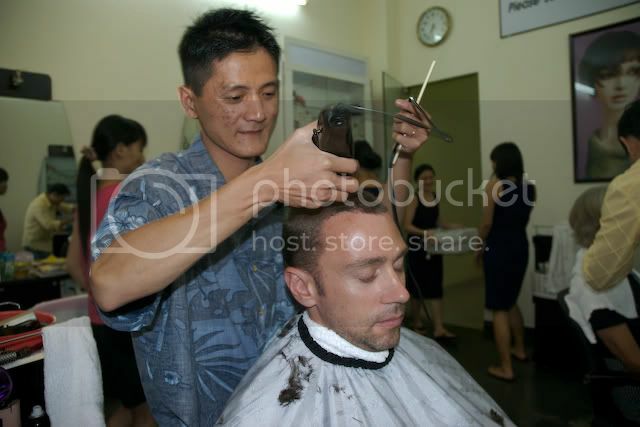 For $5 you get a wash, a cut, another wash, a 15 minute head and neck massage and a manicure. I believe I still have both ears so I deem it a bargain. Tourism in Saigon centers around a few interesting French colonial buildings (Eiffel designed and built the post office), but is mostly focused what locals call the American War. The War Remnants Museum, The Reunification Palace and the Cu Chi tunnels are all within easy of access of District 1 (the former two are in District 1). The War Remnants Museum is housed in the former American ministry of information services, an anti-Communist bureau that supported the South Vietnam government during the war. The museum grounds feature a variety of captured and restored American armaments, including tanks, Jeeps, a few planes and a helicopter. The exhibits are a little unsettling, showing the side effects of Agent Orange defoliation chemicals and photos of injuries from napalm, magnesium bombs, cluster bombs and land mines. Aborted, deformed human fetuses preserved in jars of formaldehyde are on display to highlight the tragic consequences of exposure to dioxin, a key ingredient in defoliation chemicals. The exhibits shock the conscience, but purposefully. The museum was surprisingly free of blatant propaganda, and was fairly balanced and factual about the events described. Unlike many war museums that I've visited in the US and abroad, this one was brutally frank about the consequences of armed conflict to combatants and civilians alike. The museum also had a fascinating exhibit on notable journalists and photographers who documented the events of the war, many of whom lost their lives. Vietnam was the first major conflict subjected to "modern" journalism, and the near real-time images on TV and in magazines during the late 60's are largely accredited with turning the tide of opinion against the war in the US. Visiting the museum, I noticed most of the visitors were tourists - lots of Australians, Europeans and Americans. I didn't see a lot of Vietnamese there, but that might have just been that day. A number of American veterans visit the museum on return trips to Vietnam. I overheard one American veteran tell his traveling companions that although he didn't necessarily agree with the museum's portrayal of the war's motivations, its effect on people were accurately depicted and hard to argue. The Reunification Palace was less interesting. The palace was the former presidential estate for South Vietnam. Today its a museum honoring the struggle to reunify Vietnam. Some historical context and unvalidated editorial: Modern Vietnam is the product of several forces over the past 150 years. The French Empire colonized Vietnam as part of greater Indochina in the mid 1800's. 100 years of French control have left a lasting impression on Vietnam. Any building of significance, political, commercial or otherwise, is built even today in the French style. Culinary arts, language, education, dress and urban planning are many evident examples of French influence. Despite these advancements however, as colonial subjects the Vietnamese were forced into near servitude exploiting the region's natural resources for the benefit of the French. Resentment built steadily and rising independence and nationalist movements gained strength and popularity in the early 1900's. 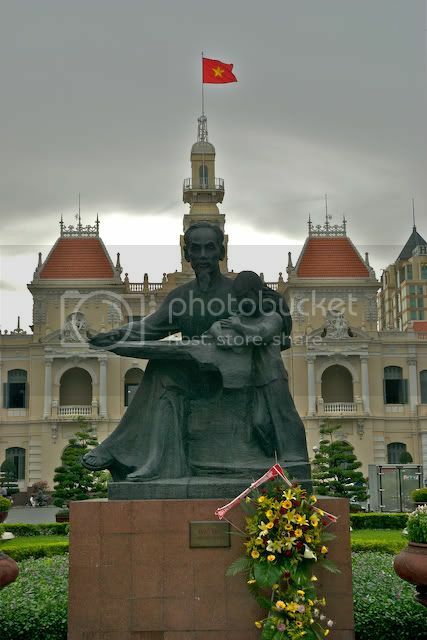 Ho Chi Minh first gained acclaim as a nationalist and committed communist, determined to end French rule. The Japanese usurped these goals by invading and controlling Vietnam from 1941 until the Japanese surrender in 1945. Amidst the disarray of world affairs following World War II, Ho Chi Minh declared Vietnam to be an independent, communist state. This proclamation troubled both the French and the US, who sent financing and French troops to battle the communists in support of a colonial loyalist government led by Ngo Dinh Diem. Battles raged until 1954 when a Geneva peace accord divided Vietnam at the 17th parallel, with the Ho Chi Minh-led communist government in the North, and an essentially French/US puppet government in the South. From the 1950's onward, the US policy of communist containment emphasized the need to restrain communist advances in former Indochina. The Domino Theory postulated that the establishment of one communist state would lead all others in the region down a similar path, one by one. At the same time, many Vietnamese, particularly those in the North, were unsatisfied with the resolution of a divided Vietnam and felt passionately about reunifying the Vietnamese people. This is an important notion, particularly in the war with the US. An overwhelming majority of Vietnamese were extraordinarily passionate about a unified, independent Vietnam. Far fewer, however, were terribly passionate about the establishment of a communist state, versus some other form. Because a vast majority of the people were subsistence farmers, one philosophy didn't seem to change their lot greatly either way. Ho Chi Minh was a famously committed Marxist, but his ability to motivate Vietnamese from all walks of life was attributed to his appeal of nationalism, independence and a unified Vietnam. When hostilities involving with the US-backed South and eventually US troops themselves, Ho Chi Minh was quite persuasive at portraying the US as a foreign aggressor, in bed with the French, seeking to restore colonial rule and keep Vietnam divided. This message was powerfully motivating. Many US troops backing the South, as well as those from Australia, the Philippines and South Korea expressed frustration that the average Vietnamese didn't appreciate or even consider the assistance being provided to keep the communists at bay. To most, these were foreign powers simply seeking to prevent an independent, unified Vietnam. A motivated populace with a conviction to fight for their belief is a powerful force. The results of the Vietnam war are known. Largely due to a powerful, local insurgency using guerilla tactics, the North eventually overcame the South and its allies, unifying all of Vietnam on April 30, 1975. A great example of the resourceful fighting was in Cu Chi. 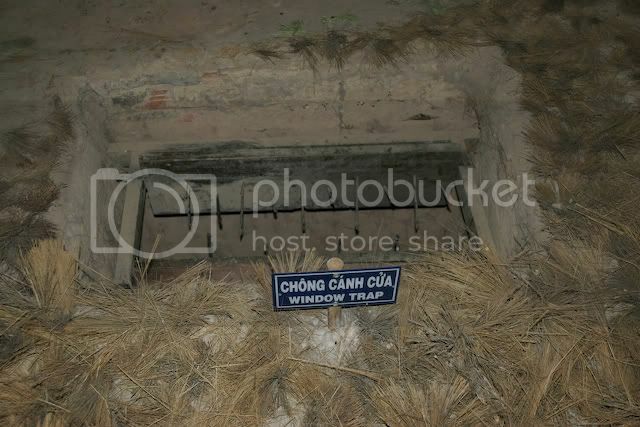 About an hour outside of HCM are the Cu Chi tunnels. Cu Chi is a town about 60 kilometers North of the city along the Saigon river. Cu Chi became a strategic battle ground as Northern troops advanced on Saigon, and for supplying communist guerillas, the Vietcong. To support these efforts, a vast network of underground tunnels were used to run supplies, hide armaments and personnel, conduct guerilla operations and gather intelligence. The tunnels are astonishing for many reasons. In total, they run over 200 kilometers in length and at their peak could house over 10,000 guerillas fighters. Originally the tunnel network was established to aid in the battle for independence from France, but were later ideally suited for efforts against US troops. 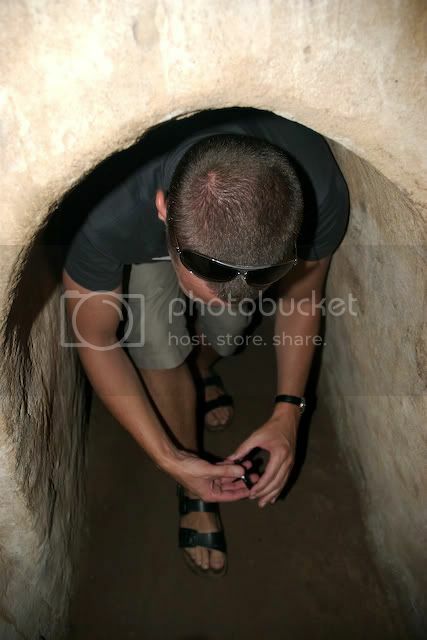 The tunnels themselves, deliberately short and narrow to prevent their traversal by larger US troops, run several meters below ground and have a variety of horrifically creative booby traps and other measures to keep out the unwanted. Special US operatives, called Tunnel Rats, had the unenviable duty of entering these dark and labyrinthian passageways to ferret out the Vietcong. Tunnel Rats in general were short, slender and generally believed to be insane. Much of the tunnels are still around but not in use. 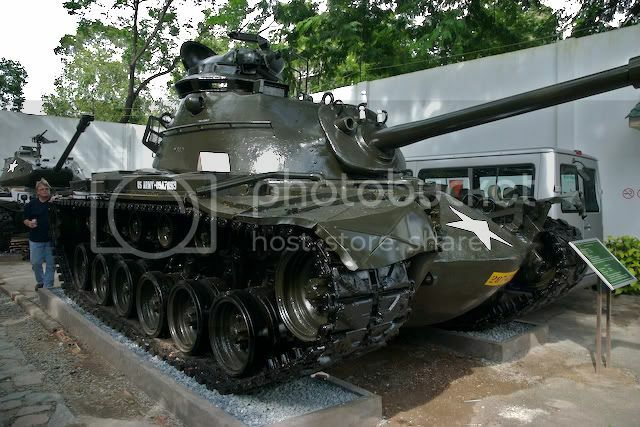 There are many tour companies that offer tours of Cu Chi from HCM. They take about a half day and cost around $20USD. 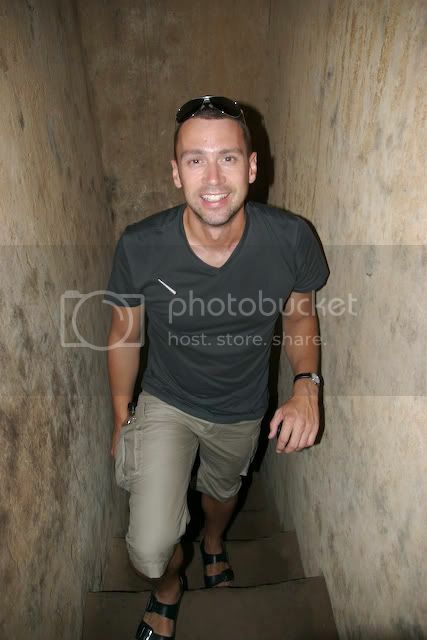 The highlight of taking a tour is entering the tunnels and experiencing them for yourself. The tunnels have been widened to accommodate Western tourists, which my tour guide was quick to blame on McDonald's (he's probably right). Despite the widening, I was on my hands and knees, about two meters below the ground, in pitch-black darkness. You had to crawl about 60 meters to the exit, all the while with a number of people ahead of you and behind. It was suffocating and very disorienting. I'm not particularly claustrophobic, but 10 minutes was more than enough. I can't imagine crawling through there not knowing what or who might lurk around the corner, assuming you could even see it. Most curious about the trip to Cu Chi was the firing range toward the end. For about a dollar, you can buy ten rounds of live ammunition and fire it from an automatic weapon into the hillside. I'm not really sure the point of that. The tour, as well as museum the day before, went to great lengths to describe the horrors of war. "But hey, its fun, try it for yourself." There were a lot of takers, thrill seekers who had likely never fired a gun in their lives, much less seen one in person, gleefully shooting an AK-47 into the grass. Not for me. HCM is definitely a worthwhile stop if you visit Vietnam. You can see the major sights in about 2-3 days, but there are more interesting parts of the country to see, especially if you're not terribly interested in the the War. Until 10 years ago, Vietnam was still a pretty isolated country not easily accessible to foreign tourists. Sadly, Vietnam isn't known for much other than the war and its an obvious draw today. Most Vietnamese are ready and willing to look ahead, and have a great admiration for the United States and the American people. They also really appreciate US dollars, thus the fondness for tourists. I suspect that because the Vietnam War is such a prominent theme in modern American culture, featured in countless movies, books, music, etc., and because American pop culture is so pervasive around the world, the interest in the Vietnam War will remain pretty high for quite some time. I also suspect that many in the world find appealing the notion that rag-tag band of guerillas could defeat a major super-power, the United States no less. A very timely sentiment given the state of things. Capitalizing on this interest is good business for the locals, but more than mere tourist attractions, many of the sites, such as Cu Chi and the Museum, are interesting in their own right. Shooting range aside, I didn't find any of this to be in particularly bad taste, or to be overly gloating about the US' misfortunes in Vietnam. There is a quiet, humble pride in the outcome of the war, but the locals also realize that cost of that victory - 30 years of living under what was often a pretty brutal Communist regime that left the standard of living shambles while the rest of the world, and Asia in particular, left Vietnam behind. Finally, Saigon has a variety of other points of interest typical of big cities - art museums, the opera, etc. I'm not a big fan of that stuff so I skipped it. I did check out some of the nightlife, but its a bit seedy. Nightclubs are really just fronts for prostitution (no wonder guys get in free and women have to pay), hangouts for gangs and places to buy drugs. I briefly check out what is supposedly the "greatest" nightclub in Vietnam, a dump called Apocalypse Now. In describing this place, I believe Colonel Kurtz said it best, "The horror...the horror."